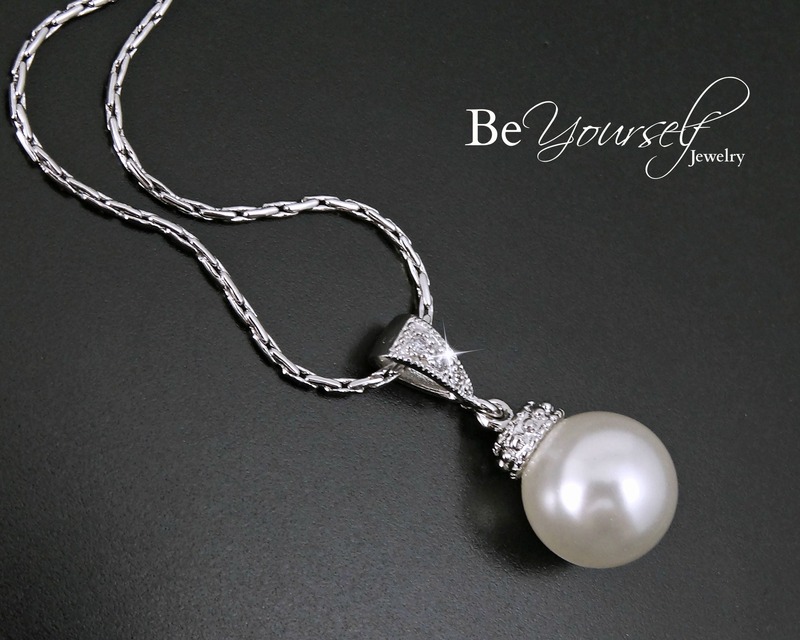 Elegant and timeless pearl necklace made with 10mm Swarovski pearls. A high quality and inexpensive jewelry for weddings and special occasions - also perfect as bridesmaids gifts. They are feminine, trendy and very sophisticated. A gift that will get lots of use all year long! - Luster rhodium plated chain that measures 16 inches and comes with a 2 inches extension. - They will arrive individually gift wrapped with the jewelry card quote of your choice from the options available at my shop. - Also available in gold and rose gold. Regarded as the most magnificent crystal pearl manufacturer, Swarovski's dazzling pearl colors and organic shapes start with a unique crystal core that is covered with an innovative pearlescent coating for a flawless, silky-smooth surface that resists cosmetics, chemicals and perfumes. Please contact us if you would like to order multiple items for your bridesmaids. We are very easy to be reached and usually reply our messages right away. Special discounts are available for multiple orders. Don't forget to read our FAQ below for more information. *Please note we only buy from official suppliers of Swarovski components for our work. I wore in my wedding and loved it! I ordered this necklace for a wedding. It is as beautiful as it looks in photos and it paired well with a earrings I already owned. The shop owner was kind enough to ship my item the day before mandatory evacuations (ahead of Hurricane Irma) were ordered in the area.